Sports are always in season and Jack is a winner on every playing field. Your young sports fans will get a “kick” out of getting Jack suited up in a variety of sporting attire. 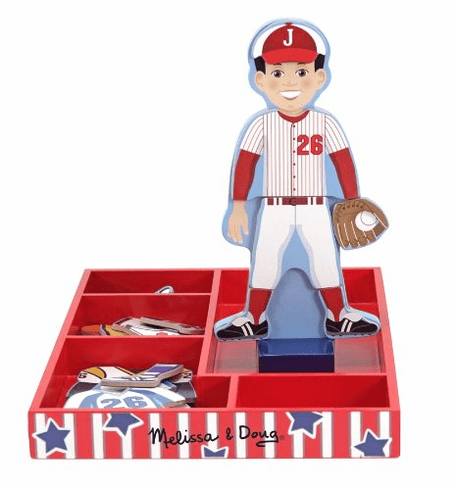 The wooden figure comes with a stand, 27 magnetic pieces, and is ready for basketball, baseball, soccer, football, or hockey regardless of the weather.